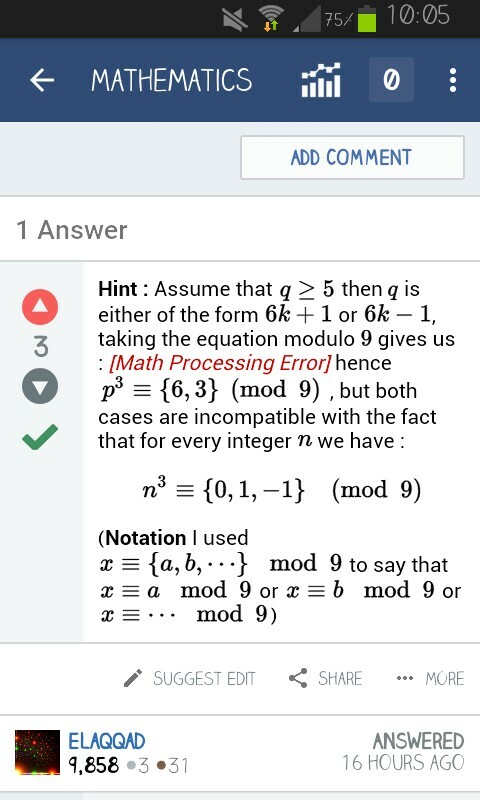 Below are a couple of screenshots take while using the Stack Exchange Android app. As you can see, each has [Math Processing Errors] (although not every MathJax instance brings up this error). When I've opened the same question from PC everything was alright. How can this be fixed? This appears to have been fixed. I can't reproduce with the above questions. Not the answer you're looking for? 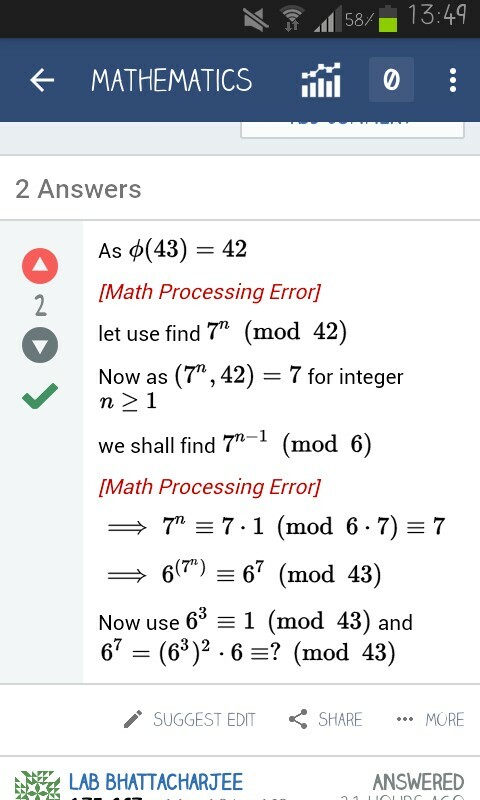 Browse other questions tagged bug status-completed mathjax android-app .